publish in Images on August 2nd, 2009 by Demon | Report This Post | Click to Add to favorites | Tags: Humor, Science! I feel like such a nerd for laughing at that! Its still fail. 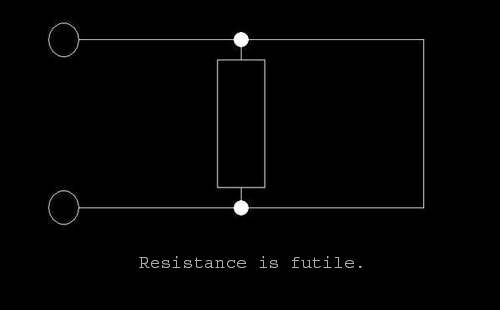 Thats not the symbol for a resistor. Thats not even a capacitor. Noobs.